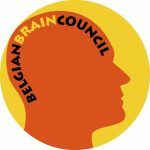 The Belgian Brain Council (BBC) recently shared a Consensus Statement on the adoption of a Belgian Brain Plan. The document stresses the importance of a National Brain Plan for improving efficiency of care for brain-diseased persons and promoting novel therapeutic approaches for brain disorders. The full statement can be found below.